We’re really excited to launch our new brand identity today! While it’s been in the works for a while, here at Airport Shuttle Cape Town it’s been a crazy day! As you’ll see on our website, we've changed the company’s look and feel to something a little more robust but still fun and definitively identifiable. The new black and yellow is striking, funky and efficient – pretty much just like us really. You’ll notice our new website has the same functionality but packed with a few extra features such as SMS confirmations of your bookings and more. We really hope you’ll enjoy our new brand as much as we've enjoyed building it thus far – keep an eye on our Facebook page for some of the new features in our booking engine and many more exciting things to come! The Airport Shuttle Cape Town team! 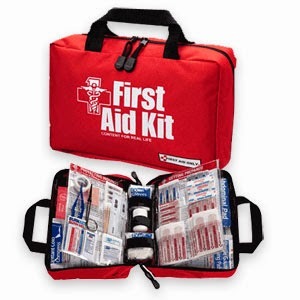 A First Aid kit should be the first thing you pack! 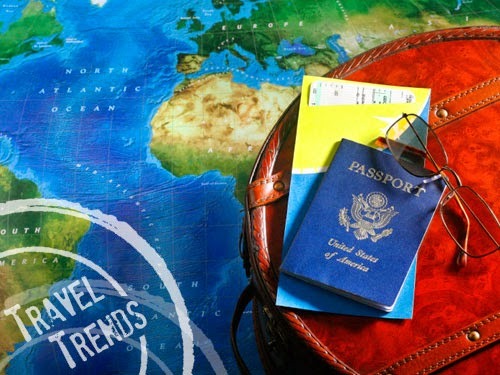 When traveling there are many things one needs to consider and plan. 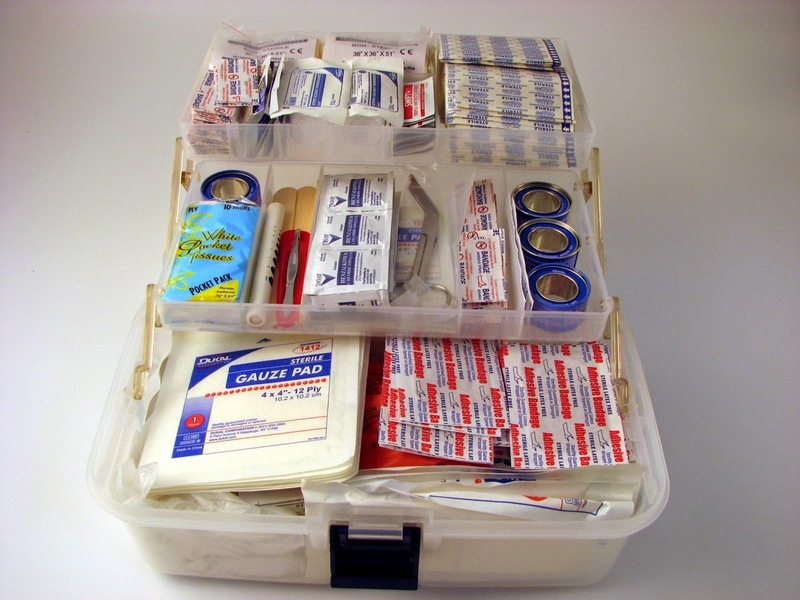 One thing that should be packed and ready before you even decide on a location is a First Aid kit. 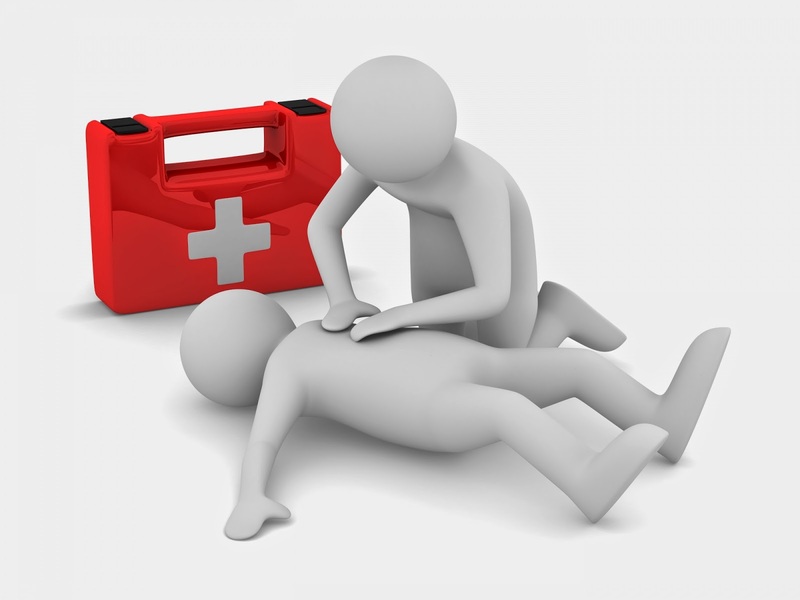 Every person should carry around a small on the go First Aid kit for everyday situations such as a blister, scratch, sore or even a splinter. We never know what life could be throwing our way so it is a very good idea to have a handy First Aid kit with you at all times. 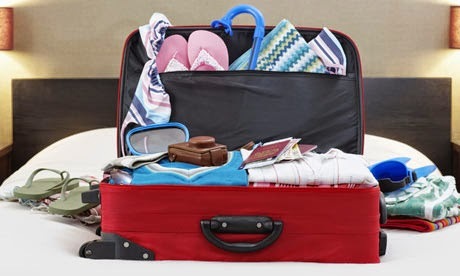 As everyday life brings new and different challenges every single day, here is a check list of things you should keep handy every single day and a different list of things you should pack whenever you go on holiday. I know it might seem like a long and daunting list, but when faced with the situation you will have the necessary equipment to save a life. The best advice I could offer is that you buy an already made up First Aid Kit and add the things you don’t have to it. Every time you use something from the kit, it’s a smart idea to the replenish it and keep all medicines up to date and watch their expiry dates. A hard shell box/bag is the best option for your equipment as everything needs to stay clean and sterile. For the best and most efficient shuttle service to and from Cape Town International Airport contact Airport Shuttle. If a beautiful, self service apartment that's been made up to the nines contact 808 Cartwright. Are you continuously nervous about flying? Does even the mere thought make you weak at the knees? Well there’s an app that could help you! It’s called Am I Going Down? And it gives you statistics on how likely your plane is to crash. A flight from San Francisco to Heathrow is calculated to crash one in every 2.8 million times, which means you could expect to crash only if you took that flight every day for the next 7,627 years. Another example is if you are flying on a Boeing 737 flight from New York City to Los Angeles, there is a one in 4,136,239 chance that your plane will crash. The app even calculates when you would expect to actually crash – for example, if you flew from New York City to Los Angeles every single day, you wouldn’t expect to crash for another 11,332 years! But how are the odds calculated? Well it uses published flight and crash statistics from the Bureauof Aircraft Accident Archives, National Transportation Safety Board and theInternational Civil Aviation Organisation. The app is pretty simple to use too, all you have to do is select the departing airport, the destination airport, the carrier and the type of aircraft you are flying on, then tap the “Am I Going Down” button. Everything will then be out into perspective for you. That’s right, your mind can be at peace for a small fee from the Apple iTunes store. At the moment the app is only available on Apple devices, but an Android version could be coming out in the future. 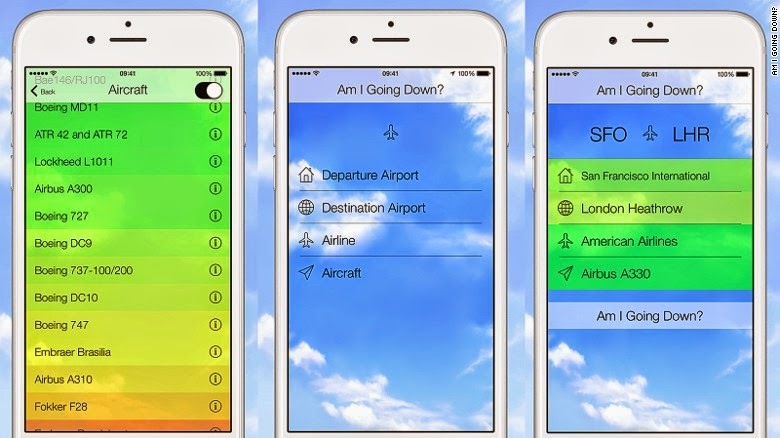 So if you’re one of those people who suffer from fear of flying, give this app a try! 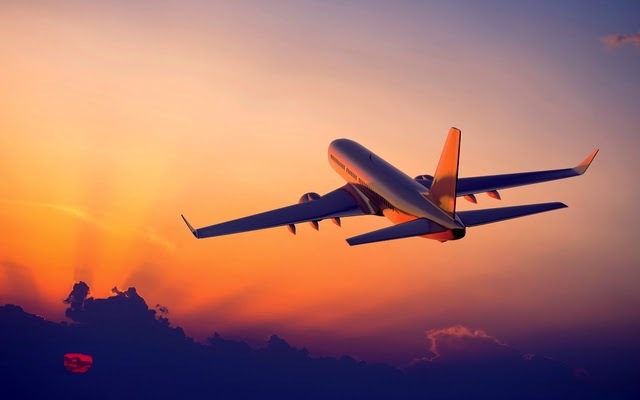 If you are planning on making a trip to the Mother City, contact 808 Cartwright Corner or Airport Shuttle for affordable accommodation or a speedy shuttle service to and from Cape Town International Airport. Summer in Cape Town means a lot of great activities, from musicals to delicious lunches and much more. The Mother City is always up for a good time and the warmer months are an excuse to let loose and have some fun in the sun. Do you long for a musical theatre with a bit of a homegrown edge? 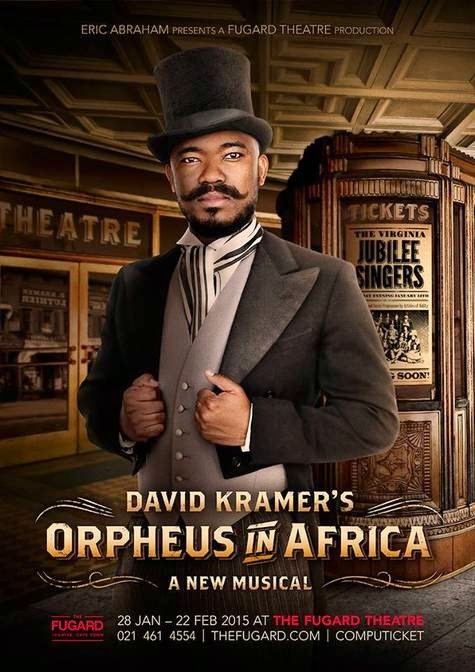 Will you won’t have to look any further because David Kramer’s latest production, Orpheus in Africa will be running at the Fugard Theatre from Wednesday until 21 February! The musical is about the unknown tale of Orpheus McAdoo, an African-American performer and singer, and he will be played by Aubrey Poo, a local singer, actor and performer. This proudly South African is definitely a must-see. Gather your friends and family and kick back and relax at the Taproom, here you can call it a day after a hectic morning and just rest your feet. 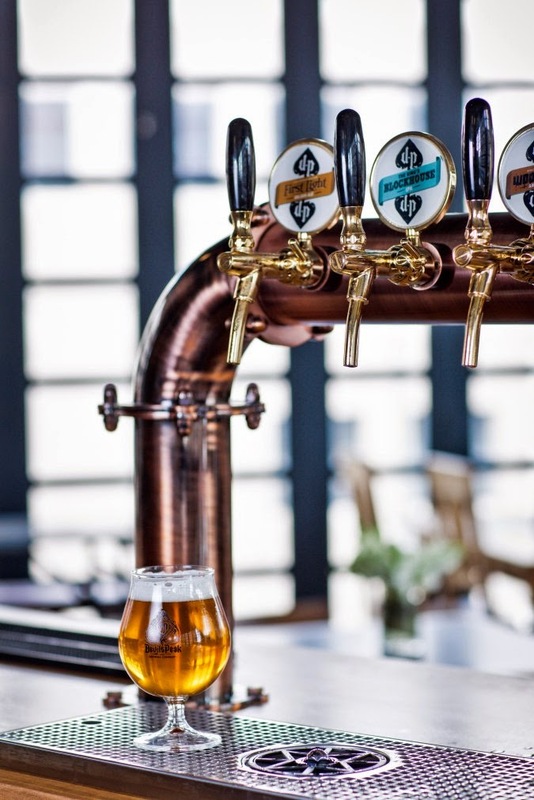 The Taproom is a craft beer and foodies dream, not to mention it is just a stone throw away from busy markets. If you are dying for a mouth-watering brunch, then this is the place for you! Try the chicken and waffles if you’re in the mood for something different, or what about the Woodhead pulled pork sandwich which is slow cooked in Amber Ale then served with pickled red onion, coriander cream and onion rings. If you have a sweet tooth, why not try the delicious pecan & chocolate waffle or the chocolate bread and butter pudding; don’t forget that if you’re dining here you can’t go without pairing your meal with one of their famous beers! Make sure to check out the world’s top wave riders as they battle to catch the biggest airs in Cape Town’s Big Bay. The winds have been blustering lately which means the opportunity to pull big air stunts, and we all know what that means – the much anticipated 2015 Red Bull King of the Air Kiteboarding extravaganza! The tournament, which is held on the beaches of Big Bay in Blouberg, will see 24 of world’s top aerobatic athletes including former King of the Air champion Jesse Richman (USA) as well as “Master of the Extreme” Ruben Lenten (NED). 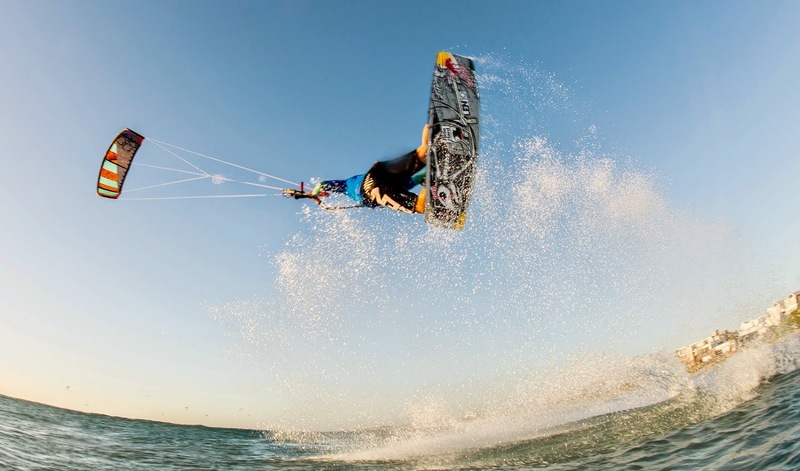 The Red Bull King of the Air Kiteboarding Competition will be an event for all viewers. A big part of summer in the Mother City is having an amazing time in the warm weather, and what better way to enjoy it then with mouth-watering meals, local musicals and tricked out airs! Are you planning on visiting the Mother City? Why not book into the affordable and luxurious 808 Cartwright Corner. For a reliable shuttle service, contact Airport Shuttle for transport to and from Cape Town International Airport. The seven wonders of the natural world can only be described as the most breath taking places on earth. From the waterfalls and jungles to the way the mist falls over Table Mountain like a blanket tucking it in at night. 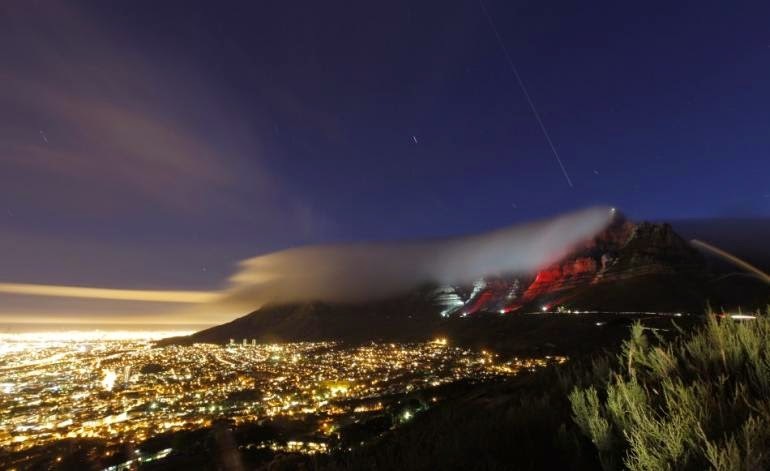 It’s no wonder that from 2012 Table Mountain has been declared 1 of the 7 Wonders of the world. All around the world there are beautiful places and amazing sites to see and to become part of the Seven Wonders of the world is a huge privilege for all CapeTonian’s and South Africans alike. For Table Mountain to be put up with the likes of Amazon Rain Forest: South America, Ha Long Bay: Vietnam, Iguazu Falls: Argentina/Brazil, Jeju Island: South Korea, Komodo Island: Indonesia and Puerto Princesa Underground River: Philippines. · Whether you are close by or kilometres away, Table Mountain can be picked out of any skyline because of its beautiful form. When flying into Cape Town it’s one of the most beautiful sites to see the mountain from above if you are so lucky, but it’s even more beautiful to see Cape Town, Robben Island or anything beyond while standing on the Mountain itself. · There are two methods of getting on top of the Mountain. There is of course the most obvious Cable car, but what most people don’t know is that there is a beautiful hiking trail up. There is nothing more satisfying than starting a Saturday with a nice early morning Hike up this beautiful picturesque Mountain. However if one opts for the Cable car’s it is a fast and easy way up. The car rotates on its axis as it heads up the Mountain to get a full 360° view on both your ascent and descent. The cableway is weather dependant and so if there are strong winds or mist, the cable way is shut down till the skies clear and the wind dies down. · There is a lovely restaurant on the mountain where you can choose what you would like to eat and pay per weight. There is a cheaper more cost effective option to eating at the restaurant; a nicely packed family picnic is another option to filling everyone’s tummies while on the mountain. · Not only is there a beautiful view, but there is also beautiful animals and nature that inhabit the reserve. If you are an animal lover then you will enjoy the Rock Hyrax (Dassie) that like to scuttle along the rocks, Lizards sunbathing and soaking up its beautiful surroundings, Butterflies suckling the flowers and if you are lucky enough you might be able to spot a porcupine digging for bulbs. The bird life on the other hand is of such a wide variety that one could a Verreaux Eagles or maybe a small colourful sunbird, every day is something new and you never know what you are going to see. The fynbos that covers the Mountain houses most of these creatures, and 100’s of the plants species are only found on the Mountain and nowhere else in the World. It’s pretty easy to see why Table Mountain is part of the 7 Wonders of the world. It has so much to offer and memories are a complete bonus. This National Heritage site has been around for years and survived fire outbreaks, so it’s very clear that it will be around for many years ahead. Don’t wait around for ideas to pop into your head, gather the family and have an unforgettable experience! For a fast and friendly shuttle service to and from Cape Town International Airport, contact Airport Shuttle. If you need a beautiful self catering accommodation, contact 808 Cartwright. Ask for your teens input – When you’re busy planning your holiday, it’s a good idea to gather everyone together and figure out what kind of holiday each person in the family wants. If you let your teen join in and help plan the trip, they will feel more involved and your holiday will start out on a positive note. Set a budget – When you are on holiday it’s so easy to blow your budget on all sorts of things you don’t actually need. If you give your teen a specific budget and let them keep leftover money, they’ll feel like they have some sort of responsibility and will be less likely to spend it all on souvenirs. Give your teen space – If it is possible try and book adjoining hotel rooms or rooms adjacent to one another. If you rent a holiday home, make sure they have their own room – teenagers love their privacy! And when they have their own private space, it’ll make them feel like the adults they want to be. Have plenty of snacks handy – You may think that the little ones will give you trouble when they’re hungry, well your teens are actually the ones that will remain calm if their stomachs are full! Bring along some tasty snacks like trail mix, protein bars, sarmies and a few sweet treats. Give them responsibilities – Teens may not want to take on responsibilities, but when it comes down to it they are growing adults and they should be ready to help. Ask your teen to do some simple tasks, like take their younger brother or sister to the bathroom, having some kind of responsibility will keep them from getting so bored and it’ll make them feel more grown up. Bend the rules – Obviously teenagers need discipline, but if keeping the peace means having dessert before dinner or going to the movies instead of the museum, then just go along with it! Remember that arguing about silly things like what to eat and where to go won’t make your holiday very enjoyable. Let your teen choose and activity – If the only thing your teen wants to do is go to the theme park, then let them do it. After days of visiting museums, churches and fancy restaurants it can get a bit boring for a teenager, they’ll remember the night on the bumper cars more than the exhibits they saw at the museum. No parent wants to leave their teen behind when they go on a family holiday and you don’t have to! Use these easy tips to make sure your holiday with your teenager will run smoothly and successfully. Do you need a speedy, reliable shuttle service to transport you to and from Cape Town International Airport? Contact Airport Shuttle today! Looking for an affordable, self-catering accommodation, 808 Cartwright can provide you with a luxurious, comfy apartment with great views of the Mother City. How to sleep peacefully on a plane! Everyone can agree that traveling can be a stressful task. 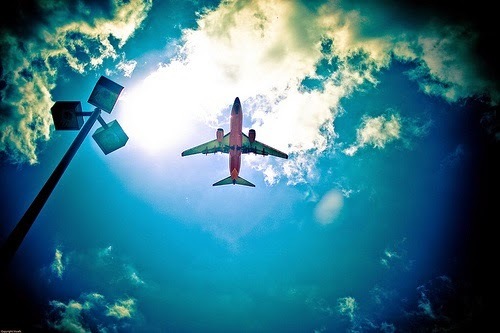 Whether you are flying a short distance or flying to the other side of the world, the stress is all the same. Short travels seem to be a little easier as they are over before you know it, however the long flights seem to last for what seems an eternity. The better prepared you are for a flight the better the experience. Here are some tips on how to get some proper sleep on those long tedious journeys. 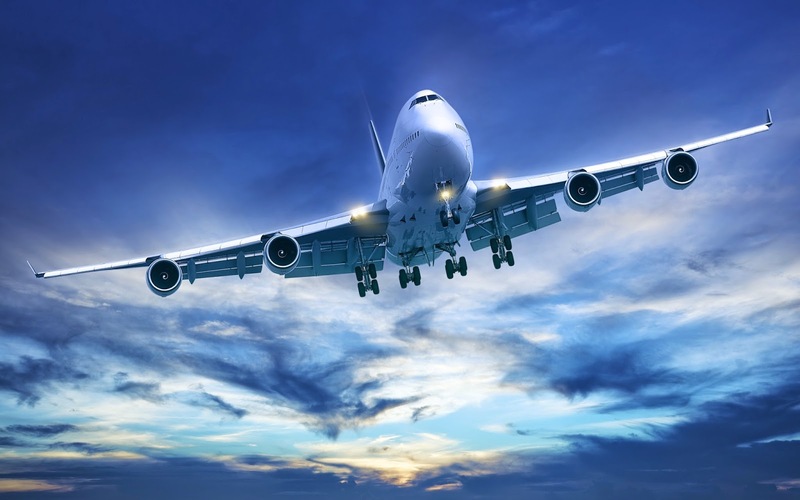 When planning your itinerary, it is smarter to opt for the non-stop flight. There is nothing worse than getting comfortable and drifting off to a deep sleep and being interrupted only to change planes. 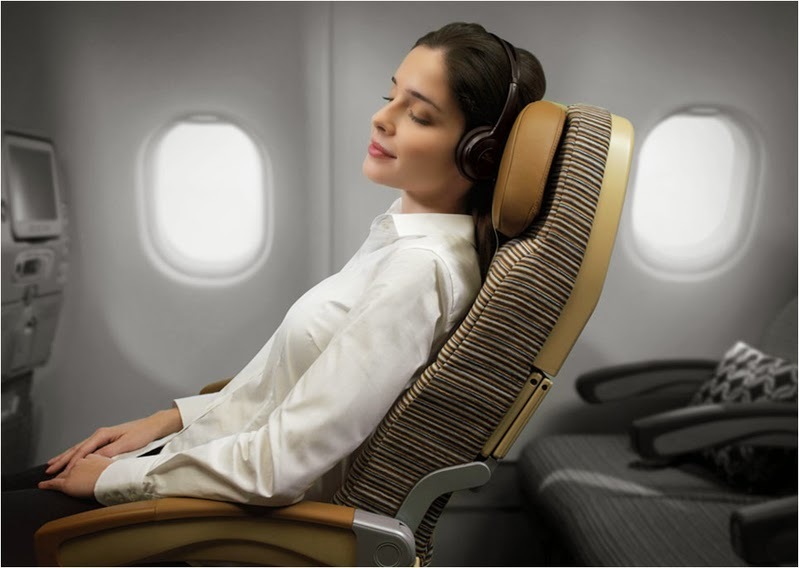 However if your flight plan doesn't have a non-stop flight option, try choosing an option with the longest single leg as this will give you ample resting time and you’ll have more uninterrupted time to snooze. When choosing a seat, remember that the closer to the front of the plane you are the quieter your flight will be. If you have miles saved up and you’re able to splurge for the longest single leg flight, it would be wise to opt for the business-class. If you aren't able to afford such luxury’s, a smarter option will be choosing a window seat in the Emergency exit row, you won’t be disturbed by neighbours and you will have all the room you need to stretch out. When getting dressed and ready for your flight it is important to remember that you are not entering a beauty pageant, you are about to sit in a seat for a lengthy period and there is nothing worse than being in clothes you can’t truly relax in. In your carry on it is a good idea to pack a pair of comfortable pyjama bottoms and some woolly socks. When the plane has reached its cruising point and you are able to get up and walk around you should use this opportunity to brush your teeth, wash your face and climb into something a little more comfortable. Once you return your seat please keep your seatbelt buckled at all times. Keep hydrated during the day so you can avoid eating and drinking on the plane and adding unnecessary bathroom breaks. Most people will use sleeping pills and other prescription sleeping aids to help them get some rest, its recommended that you consult a medical professional before jumping to these extremes. If the sleeping pills don’t work people jump to alcohol as the next best thing, however its probably the worst. Alcohol coupled with the dry air can cause you to dehydrate and make you wake up with nightmares. Avoid caffeine and sugar; rather drink sips of water but not too much as you’ll be running to the restroom every hour. If none of these tips help and you still find you are struggling to sleep, you can always rest. Switching on a movie will just waken you more; try closing your eyes with some music on and lay back, more often than not you’ll land up getting some sleep in. If you don’t get any sleep at all at least you’ll be more rested than if you had been fully alert the entire flight. If you need comfortable, self catering apartment to rest and recuperate from your long journey. Contact 808 Cartwright. For transport to and from Cape Town International Airport. Contact Airport Shuttle. Do you want to experience Cape Town this weekend? Don’t hide indoors because of the intense summer heat, enjoy the sunshine and make the most out of it this weekend in the Mother City. If live music in a beautiful setting seems like just what the doctor ordered then this series of wonderful outdoor concerts, showcasing the finest musical talent around will definitely tickle your fancy. The music concerts highlight a variety of different music from Viennese waltz, local pop-rock to sultry salsa music and even a local take on a timeless opera. There’s bound to be something for your taste and with the Oude Liberatas Amphitheatre as a venue, you can look forward to a concert surrounded by the beautiful Stellenbosch. 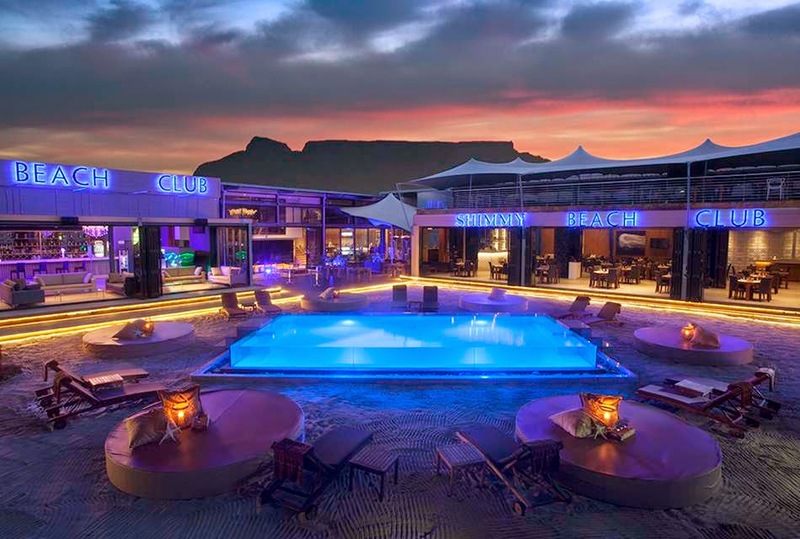 This summer there will be a series of weekend Pool Parties at the lavish Shimmy Beach Club, so get ready for some fun in the sun. Invite your friends and family to wind down for the evening around the beautiful glistening pools, amazing sea views, all while soaking up some top tunes. 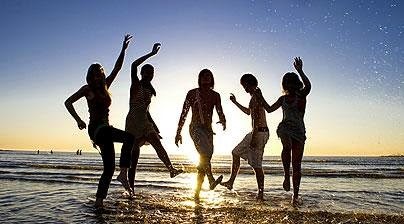 Unlike the smart Friday night jols, the Saturday affair is quite toned down, with bikinis, board shorts and bare feet being the dress code for the day. In between the top-notch DJ's (Dan Healy, Byron Soulful, Gareth Kenward, Branny B) there will also be a wide variety of entertainment from break dancing, acrobatics, and a foam machine to snacks and delicious cocktails. 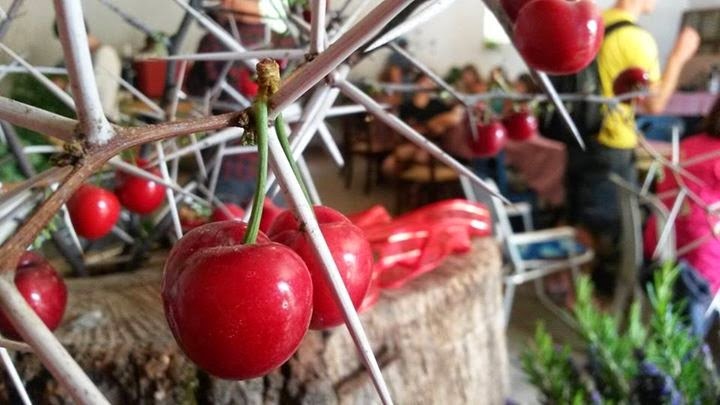 Grab your friends and family and head out to the ERF 81 Food Market in Tamboerskloof this Sunday. If you want to make a difference then this is the ideal place to spend the day, as the market focuses on promoting food security and a sustainable livelihood. All the food crops are grown organically and on the slopes of Signal Hill and then sold at the market for everyone to enjoy. If you attend you can look forward to a wide array of tasty baked treats, home-brewed coffee and delicious fresh produce. This weekend, Cape Town is alive with activities and interesting events, whether it be a festival or a pool party or just a organic food market that makes a difference. Take your pick and enjoy your time away from the office. For an affordable, comfy, self-catering apartment contact 808 Cartwright for great weekend accommodation. Do you need a reliable shuttle service to get you to and from Cape Town International Airport? Give Airport Shuttle a call now! 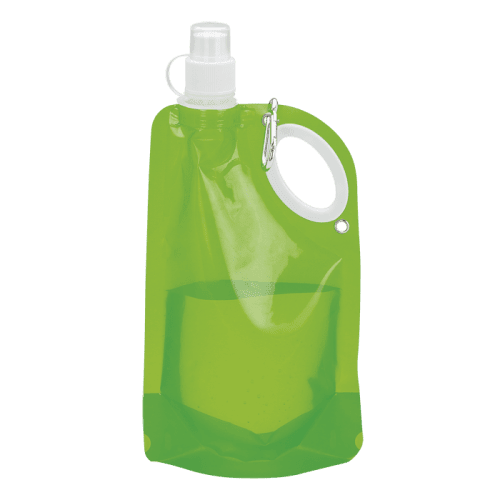 When you travel it can be difficult to keep you snacks and drinks simple and easy to access, from leaky juice bottles to meals turning stale – sometimes it’s just such a hassle! On your next road trip, make sure you snack in style and add these clever gadgets to your padkos travel pack. When you travel it’s important for you to stay hydrated, this 740ml water bottle is perfect for travel hydration. 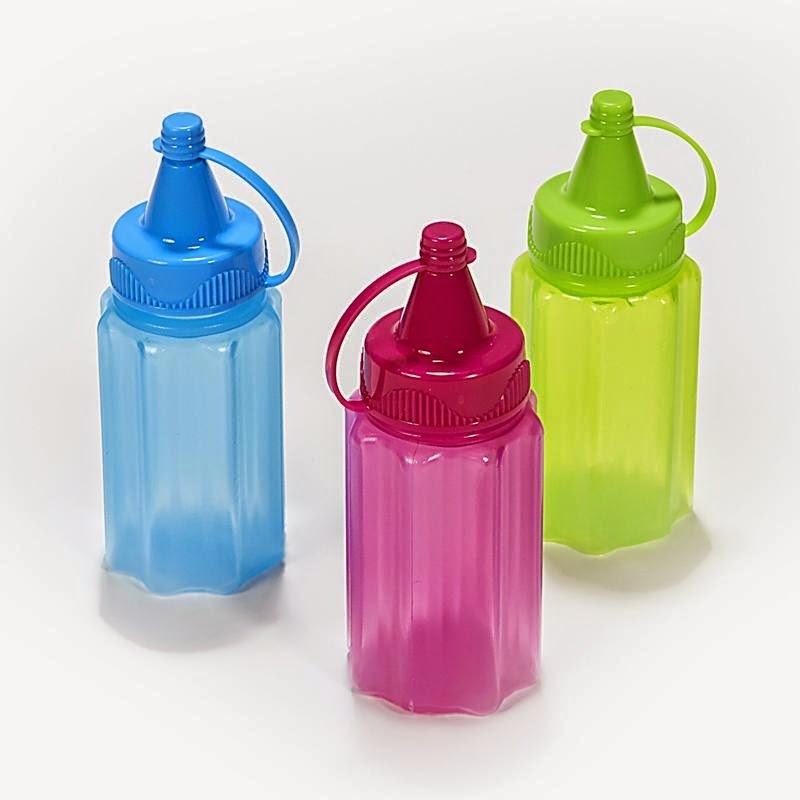 Even better, when the bottle is empty you can fold it neatly and stick it under the car seat or in your bag. Make a note not to squeeze the bottle too tightly when you’re sipping otherwise you’ll spill. You won’t ever have to worry about keeping your food fresh with these nifty little Seal Sticks, Simply fold the packet closed and slide over a seal stick and it keeps the air and moisture out of your snacks. 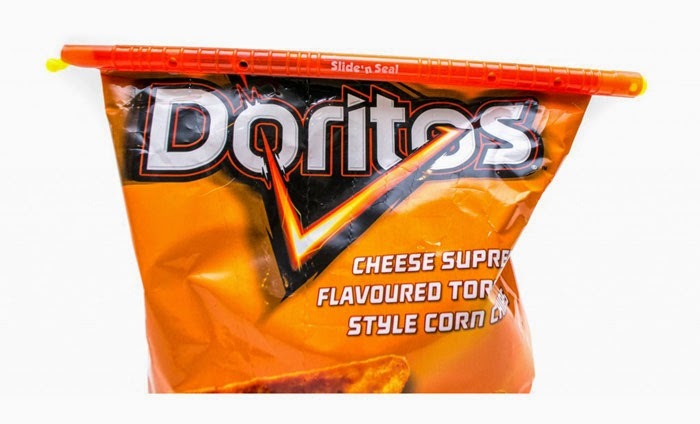 They also come in all different sizes for different packet lengths. None of us like eating dry food, whether its hot dogs or leftover meatballs, you need to add sauce or it’s just not complete! Luckily these tiny Sistema “sauce-to-go” bottles are tiny and convenient; just fill them up with tomato sauce, mayonnaise, mustard or whatever your favourite sauce may be. Empty Tupperwares can take up a lot of space in your car or bag when they’re empty, never fear the Compleat Foodskin is here! 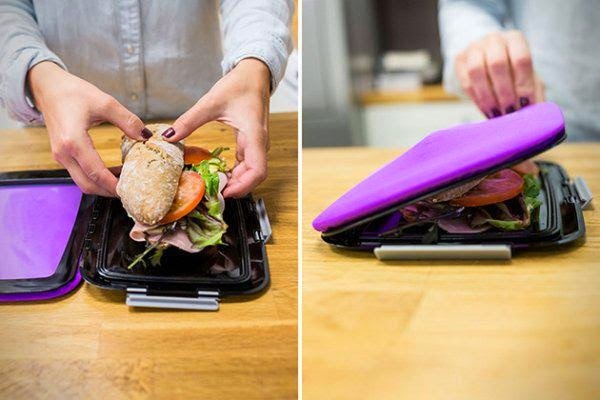 The bottom tray makes up a solid base for your sarmie and the soft silicone lid stretches around your bread, keeping it together and fresh. Not only that but when it is empty it’s completely flat meaning you can store it anywhere. This is a trendy set of containers perfect for padkos, you can store your cereal in one container and your milk in the other so it doesn't go soggy. It also includes a spork and a carry strap for good measure! 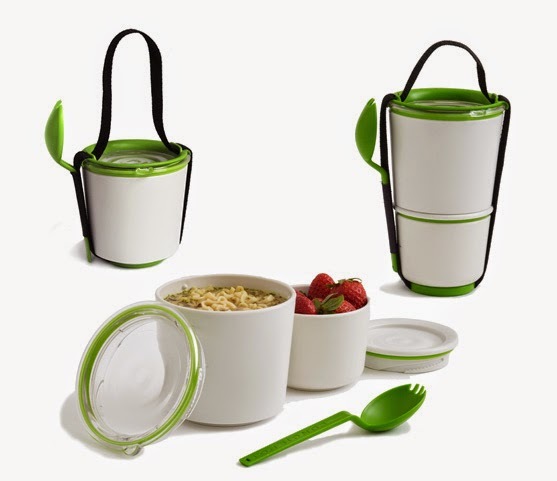 The Lunch Pot comes in three different colours and the smaller pot fits in the bigger pot for easy storing. When you go on a road trip, whether it’s with family or friend padkos is an essential, so instead of your perfectly prepared snacks falling all over the place and taking up valuable space, keep them in order with this cool padkos gear. Need a great, self-catering apartment after your long roadtrip? Contact 808 Cartwright and book now. For an affordable, reliable airport shuttle service - Airport Shuttle in Cape Town is your solution. When we travel for work or for a vacation we have to put up with a lot of health-related things: Recycled airplane air, fatty foods, fancy cocktails and copious amounts of hidden germs! All these things can put strain on our immune systems, so here’s how to stay fit as a fiddle no matter where you are travelling. Stay hydrated – In order to keep all your systems going you need to drink your daily water requirement. Travelling can be dehydrating for your body, so if you can try to stock your car, backpack or hotel room with nice cold bottles of water. Always bring water wherever you go! Avoid the minibar – Alcohol, sweets, chocolates and fizzy drinks, this is basically all you will find majority of minibars. Not only are these things extremely unhealthy for you but they are also ridiculously overpriced. Instead of getting sucked in by the minibar’s stock of unhealthy treats, pack your own drinks and snacks. 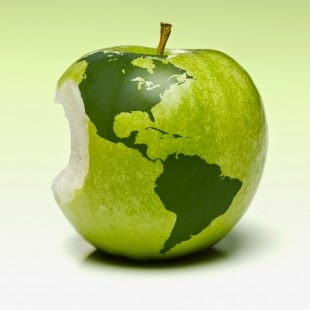 Pack snacks – Always carry back-up snacks in case you’re travelling and can’t find anything healthy to eat. Stick to fresh or dried fruits, protein bars, cereal etc. You will save money and you won’t be tempted to buy MacDonald’s or any other fast food ever again. Steer clear of airplane germs – Before you settle into your seat get out your disinfectant wipes and do a quick wipe down of the cushions, armrests and the table tray. If it is possible avoid the in flight restroom at all costs! · Bend and straighten your legs, feet and toes when you are seated. · Increase the blood flow to your legs by pressing the balls of your feet down hard against the floor. Choose a quality hand sanitizer – Hand sanitizers and soaps kill as many as 40 000 germs per hand! So when it comes to fighting bacteria when travelling and you can’t get to a sink, hand sanitizers are your best bet. When you choose a hand sanitizer try to buy one with at least 60% alcohol in it. As fun as travelling is, it can also be an unhealthy experience for you, so always try to choose the healthier options and cut your immune system some slack! Airport Shuttle in Cape Town can provide you with a reliable, affordable shuttle service too and from Cape Town International Airport, contact us today! Remember when you actually had to go to an airport check-in counter to get your boarding pass? When calling home from abroad cost an unreasonable fee (hat tip, Skype), or when catching a shuttle service meant waiting for hours on end? (hat tip, Airport Shuttle). So what’s on the horizon for 2015? Take a look at the trends that are changing the way we move through the world. Have you heard of Airbnb? Well it’s a sign of things to come. Take the new Drift San Jose in Los Cabos, Mexico; you won’t be able to book through a website, but only through Airbnb! So it’s becoming clear that the line between hotels and rentals is becoming more and more blurred. If your phone starts buzzing the next time you’re in an airport, it could be location-specific alerts enabled by nearby “beacons,” low-frequency Bluetooth sensors that can tell you which currency-exchange counters have the best rates, how long it’ll take to reach your gate and other useful tips. The amazing technology is already being used in airports from San Francisco to Amsterdam! Mobile transactions are going to become the new normal! Sync your credit and debit cards with Google Wallet or Apple’s Passbook and you’ll be able to buy things simply by placing your phone in front of a sensor at checkout. Singapore Airlines has confirmed that it will introduce this so-called fourth class of seating later this year, Japan Airlines has also completely revamped its version, so it’s easier to see the appeal: friendlier fares paired with business-style perks and amenities, including greater seat pitch, better meals, privacy dividers and airport lounge access. So it’s a sign that premium economy is here to stay. The changes ahead for 2015 are more than just improvements; this will be a year of expanding horizons. For a self-catering, affordable apartment contact 808 Cartwright. so you need a fast reliable shuttle service to and from Cape Town International Airport? Contact Airport Shuttle. It’s the beginning of a new year in the Mother City and that means endless amounts of weekend activities. This weekend get ready for anything from big parties to cars and dinosaurs! Looking for something to do? Here are some great ideas. 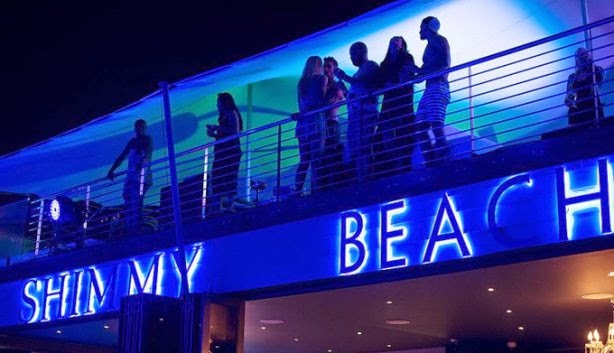 Cape Town’s exclusive Shimmy Beach Club is bringing a touch of Mediterranean nightlife to the Mother City. The oceanfront club will be throwing a series of amazing parties every Friday evening until the 27th of February 2015. If you love deep house beats, the feel of soft sand beneath your feet and the scent of sea and sunscreen then these Ibiza-style parties may be just the thing for you! The prominent DJ’s playing this Friday are Deztract, SOX, Chris Taylor and Branny B. If you’re a motor head, then get ready to be amazed! 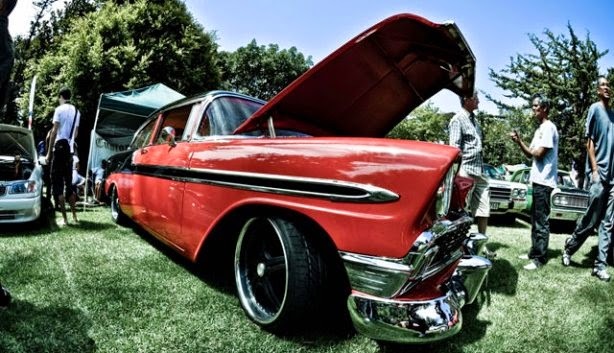 The 15th annual Classic Car and Bike show gives modern classic cars such as hot rods, street rods, modified and custom vehicles along with race cars and motorcycles, and the chance to flex their muscles! This is more than just a fine car show, it has a worthy cause – it’s also a charity fundraiser that supports IPA (International Police Association) not to mention it is a total family affair with a wide range of food stalls, a beer garden and even a jumping castle to keep the kids busy. Grab the kids and the rest of the family and jump back in time to the Jurassic period! Then only place you need to go this Sunday is the DinosAlive dinosaur exhibition and play park at the Red Shed in the V&A Waterfront. The Oceanside warehouse has been transformed into something from a scene in Jurassic Park, with nine life-sized animatronic dinosaur models that make actual sounds and movements. Some of the beasts on display include the ferocious T-Rex and the horned Triceratops, not only that but there will be a display of real fossils, a dino café, arcade dino rides and an array of fun activities. So another weekend is upon us in 2015 and there is always plenty to do, so grab your friends, family or partner, because it’s all happening in the Mother City! For an affordable, comfy place to stay this weekend, contact 808 Cartwright and we can offer you a great self-catering apartment. Need transport to and from Cape Town International Airport? Airport Shuttle can help you out and provide a fast, reliable shuttle service.